Love yourself first. You will never be able to love anyone else with your whole heart unless you love yourself first and foremost. When you love yourself, you treat yourself with respect, and you don’t let others bring you down. In short, when you’re your number one, your heart is open and ready to accept and love others fully. Don’t lower your standards, but change your expectations. Things will never be perfect, because no human can ever be perfect. Don’t expect your mate to be doting, romantic, and kind all of the time. Enjoy when they DO treat you like a King or Queen, and don’t chastise them when they don’t. Remember that your partner’s not a mind reader. Say what you mean and mean what you say. Nobody can read minds, so don’t expect your husband or wife to be clairvoyant about your wants or needs. Express yourself clearly and honestly. Be all ears. Your mother gave you two ears and one mouth for a reason – to listen more than you speak. Sometimes your mate doesn’t need a lecture or any advice; instead, all they may need is an open-minded and patient listener to tell their problems and worries to. Friends first, lovers second. Would you make your best friend sleep on the couch? Would you yell at your best friend over forgetting the fortune cookies when he/she brings home Chinese takeout for dinner? It’s oxymoronic, but we often treat those we love and care about most better than those we hardly know or hardly see. Treat your mate with the utmost level of respect – be a friend first, lover second. Don’t let the kids control your marriage. Remember to make alone time, away from the children, at least once a week for you and your significant other. The formula is simple: happy parents = happy children. Take turns doing chores. Break the barriers between traditional male and female roles in the household. Do laundry together, have your wife mow the lawn, let your husband cook dinner and get the kids ready for bed. If you take turns at chores, you’ll appreciate each other more. Be honest about finances. Honesty is the basis for any relationship, but fiscal fidelity is one of the most important types of openness in a marriage. Managing your finances together helps you both understand your monetary standings and budget limitations. Don’t hide anything – it all comes out in the wash! Symbolic Date: Your parents’ anniversary, the first day you met, the day he proposed, a dating anniversary, or some other memorable day in your couple history or individual histories all serve as significant and fitting dates for your wedding. Not to mention, it’s totally romantic! Favorite Wedding Planner: Because you’re planning on getting married, you’ve probably recorded or rented The Wedding Planner, Bride Wars, Bridesmaids, and every other typical wedding movie known to man. From these films or from following wedding trends, you know how important it is to have an amazing wedding planner for your special once-in-a-lifetime wedding day. 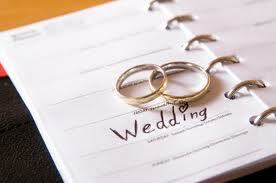 Your favorite wedding planner’s availability may play a role in the date that you can choose. Be sure to match your wedding date desires with your planner’s weekend openings. Holidays: Some holidays may be a no-go because of familial obligations, but if you’re determined to have a cupid pinata or Christmas tree at your wedding, a holiday wedding date may be for you. Although it is technically “your day,” depending on the holiday celebration, it may be acceptable to provide guests with some festive entertainment in combination with the wedding ceremony and reception. For example, if you love the Fourth of July, provide barbecued food for your wedding’s dinner and incorporate fireworks into your reception for great fun for all attendees! Pricing: Traditionally, the most popular wedding months are May through August; thus, prices for planners, venues, flowers, etc. will most likely be higher during these months. If you and your lover are looking to save some money, try holding your wedding date in some of the lower-key months in Fall and Winter. Season: If you’ve always dreamed of having your wedding in Lake Tahoe with the snowflakes falling down on your nose, low lighting, and a hot chocolate being served, Winter is your ideal wedding date season! Match your wedding date and individual personalities with the season that you’d like to celebrate your marriage in. As a small reminder, too hot or too cold is uncomfortable for you and your guests – be sure to make accommodations! Special Accommodations: There are some guests that you just can’t celebrate without. If your great-aunt Myrtle is having hip surgery or your crazy cousin Gertrude is travelling to Croatia to inoculate newborn babies and they just have to be there to witness your nuptials, be sure to coordinate with them before choosing your wedding date. As a warning, if you offer this accommodation to one person, others may jump on the bandwagon too! Tax Weekend: One of the most stressful times of year for everyone is April 15th – that being said, DO NOT schedule your wedding on that date unless you’re prepared to deal with some grumpy guests! 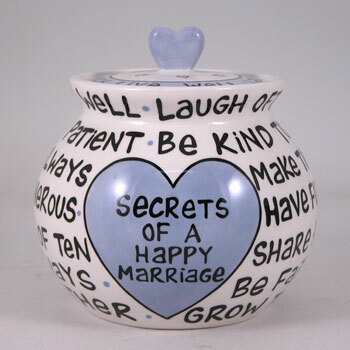 Your wedding date will be a day that you and your partner remember forever. You will have champagne glasses, photo albums, and future anniversary gifts engraved with that special date – choose wisely, and best of luck!